Vail Resorts' purchase of Stowe Mountain Resort was not the only Vermont ski mountain deal that went down this year, though it garnered most of the headlines. 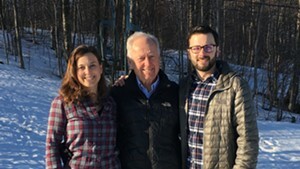 In April, Ralph DesLauriers and his children, Evan and Lindsay, purchased Bolton Valley Resort from Burlington developers Doug Nedde and Larry Williams for an undisclosed price. It brought the resort full circle. Ralph and his father founded Bolton in 1966 and lost it in 1997 after the business went bankrupt. The property has changed hands several times since, surviving one season, 1998-99, when it did not open, and another bankruptcy in 2001. The second financial failure came after a new owner spent $2.5 million in an unsuccessful attempt to resurrect the resort. As they get ready to compete with deeper-pocketed owners of Stowe and other nearby resorts, the DesLauriers, who live slope-side at Bolton, are hoping that Vermonters' buy-local ethos extends to lift tickets. "In this time of the corporate takeover of industries, a lot of people are looking for that locally owned, Vermont brand," Evan DesLauriers, 29, said. "In this market, in this state, it makes sense to have that local option to really separate us." Bolton has long occupied a steep, narrow niche in Vermont's ski economy. It lacks the modern amenities of Stowe, Sugarbush and Okemo resorts. With 71 trails, six lifts and 1,704 feet of vertical drop, it's smaller than Jay Peak and Smugglers' Notch resorts. The ski area's die-hard fans don't qualify as a cult following, such as the one that supports Mad River Glen. 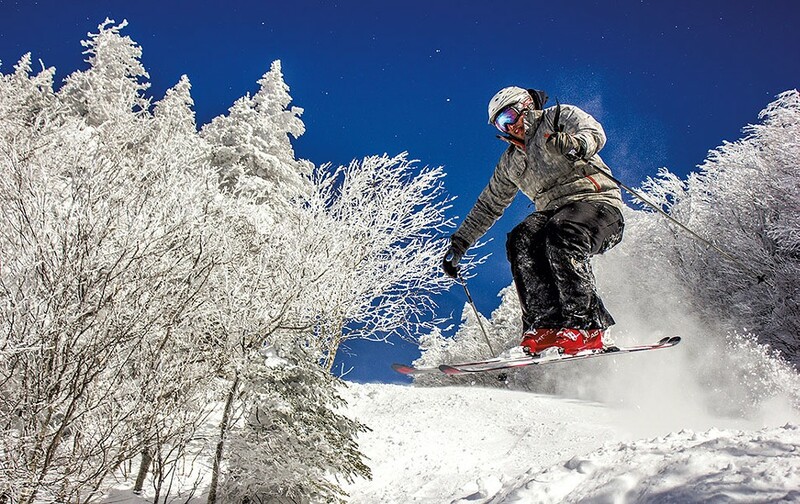 Bolton is northern Vermont's no-frills, midsize mountain, where parents can afford to bring their kids, and penniless college students can find a legit alpine experience. At $649, its season pass has long been one of the best deals around. But now others are encroaching on that price-sensitive slice of the market. 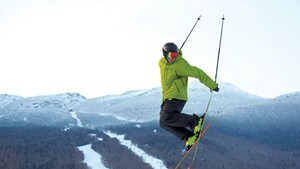 Stowe's new Epic Pass is priced at $899. In response, Sugarbush dropped its early-bird season pass from $1,149 to $799, and Killington reduced the cost of a season of skiing to $899. Those offers are inching dangerously close to Bolton's — and include access to bigger mountains. But DesLauriers defends his turf — and Bolton's value proposition. Bolton is surrounded by 1,200 acres of cross-country trails, and it offers night skiing, a rarity in Vermont. More importantly, Bolton is the only major ski resort in Chittenden County, home to a quarter of Vermont's population and most of its disposable income. Only 30 minutes from Burlington, it is arguably one of the few spots in the state where a family-owned, locally focused midsize resort could survive. 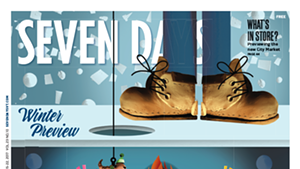 "When you go shopping, do you pick the corporate box store or the locally owned store? There's enough people to go with either side," DesLauriers said. "We don't have the deep coffers they do," he said of the competition, "and we've got to pay our staff a livable wage. We're going to stand by our prices." DesLauriers acknowledges that Bolton needs improvement. Some of its structures date to the 1970s and have the peeling paint and worn shingles to prove it. The last major project, the expansion of the Timberline Lodge, was completed in 1986, two years before DesLauriers was born. But the family's go-slow approach will prioritize infrastructure upgrades over cosmetic changes. 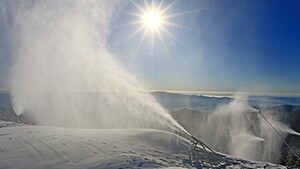 The resort just bought 15 new snow guns in order to blow more white stuff on its secondary mountain, Timberline Peak, which has some of Bolton's best terrain. Often unskiable until January or even February, those slopes could now be operational by Christmas break this year. Like almost every ski area owner in Vermont, the DesLauriers have long-range diversification plans to make Bolton a four-season destination. They experimented with a nine-hole disc golf course this summer and are considering future summer camps, wellness events, a winter farmers market and, eventually, a hotel renovation. The challenge is making Bolton better without increasing the price tag. Many of the resort's loyal customers come specifically because there's nothing fancy about it. A $15 hamburger in the lodge? "You won't find that here," DesLauriers promised.